The American Museum of Ceramic Art will feature an exceptional exhibition entitled, German Mettlach Ware (1850-1915) & Present-Day Translations. Robert and Colette Wilson, prominent collectors and enthusiasts, amassed a huge number of late 19th and early 20th century Mettlach ceramics over the past thirty years. Their collection of incredibly detailed and finely crafted pieces is known to be the finest and largest collection in North America at over 3,000 pieces. The exhibit will place the German pieces within the context of their social history and bring in a contemporary component through a contrasting exhibition of current ceramic artists. The select present-day artists will show work that relates in theme, content, or technique. Until now, the collection has been viewed only by special invitation to the Wilsons’ home. Now housed at AMOCA, the Wilsons have already donated part of their collection and promised the remainder, with the purpose of sharing it with a broader audience. This fall, for the first time, the Wilson collection of Mettlach ware will be on public display at AMOCA’s new home in Pomona, CA. 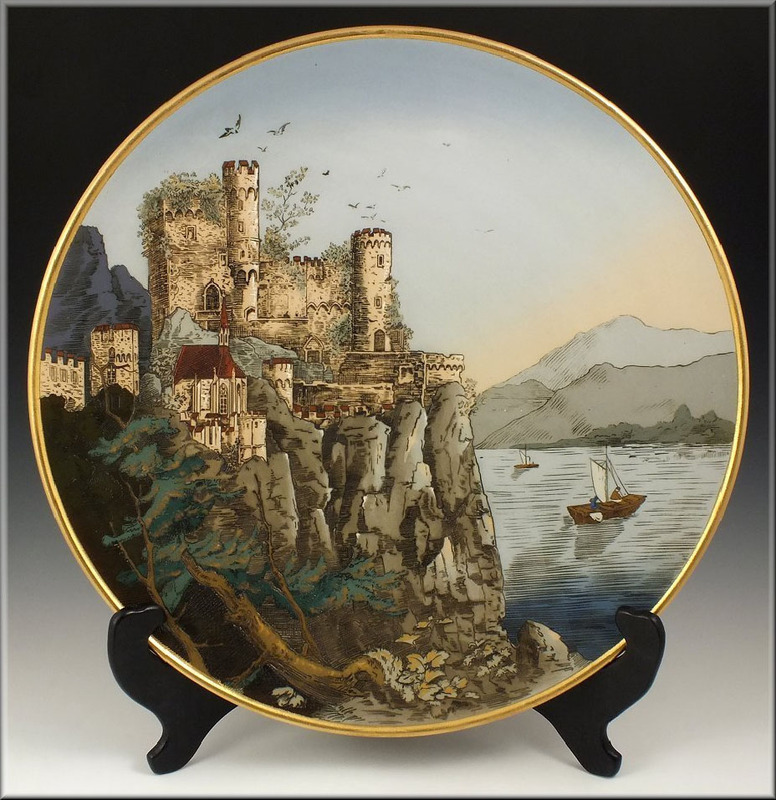 German Mettlach ware dates to 1836 when a pottery founded by François Boch merged with one owned by Nicolas Villeroy to form the famous ceramic company called Villeroy & Boch. By the late 19th century, the company had seven factories, but the one at Mettlach, most famous for its production of steins, became known by the village name. Mettlach also produced plaques, vases, jardinières, and table wares, all of which are known for their intricately decorated surfaces in a variety of designs and styles. Present-Day Translations is a simultaneous presentation of modern interpretations in various ceramic techniques that compare or contrast contemporary ceramic work with the German decorative arts tradition. This juxtaposing exhibition will feature work by Barry Bartlett, Craig Clifford, John de Fazio, Andrea Gill, Karen Koblitz, Kate MacDouell, Gillian Parke, Liz Quackenbush, Seth Rainville, Bonnie Seeman and Joan Takayama-Ogawa. These prominent ceramic artists favor an elaborate aesthetic, producing work that relates in theme, content, or technique to 19th and 20th century European ceramics. Each artist presents a unique perspective. Their processes inspire a dialogue that compares current and future concepts with those practiced in the late 1800s.